Robert founded Action West Video in 1985 on the ski slopes of Park City, Utah as a producer of action ski videos. In 1989, Action West moved to the commercial and corporate world of Salt Lake City. 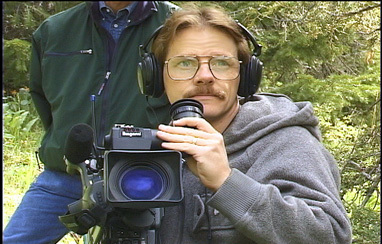 Mr. Richardson served as the writer, cameraman and editor for “Cutting World Video Magazine,” a monthly video production in magazine format on the sport of cow cutting. “Cutting World” ran for 4 years and was distributed throughout the United States and five foreign countries. He directed and produced a “Tai Chi for Seniors” series for KUED-TV in Salt Lake City and has served in various capacities in live productions in Dallas, San Diego and Las Vegas. His knowledge of the business and creative vision are an asset to any video production. Brian has worked in broadcast television since 1980. Before moving to Utah, he worked for KNDO and KYVE television stations in Washington State. His desire to enter a larger market brought him to KUTV in Salt Lake City, and later to Skaggs Telecommunications Service where he held a variety of production positions. Brian joined Action West Video in 1994. He is a talented cameraman, editor and production assistant and has filled those roles in the production of “Boat World” and “At Your Leisure” airing on Fox-13, KUTV and KTVX. From television commercials, to independent features, to corporate training, Brian has demonstrated his technical ability and creativity that make him a valuable addition to our team. DeeDee is a graduate of Westminster College with a BS in Business, a 33 year management retiree from Qwest Communications and has been involved in the production business since 1990. During her tenure with Qwest, she spent time as a course developer and instructor, coach and mentor, a project manager and forecaster and was responsible for multistate quality and production results. She is a published author and has written many scripts for corporate training, promotional videos, non-profit organizations and children’s educational material. Her communication skills, corporate background and ability to capture technical information and details in a creative script make her an important asset to any production team.